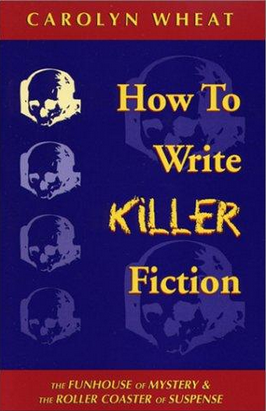 So the editor and publisher chose an unfortunate title: “How to Write Killer Fiction.” There are sections in this book that are much more sophisticated than that. And in fact, they contain material that is subtle and artful and difficult to find anywhere else. Not without a lot of wading anyway. Carolyn Wheat presents things to us in a straightforward way. It’s not entirely a book about how to write murder mysteries and suspense novels. In fact, I skipped over much of the first part about mysteries and was no worse for it. It’s really a book about how to create suspense and build scenes and story patterns in any genre. To help us out, she first provides a succinct list of novel categories and types, de-mystifying the book market genres and showing us which are the most popular at the airport bookstand.It is up to us to apply her information to the type of book we are writing. Wheat’s discussion on how to use the outcome pivot devices of “yes, but…” and “no, and furthermore…” are worth the price of admission. There is lots of advice about action arcs and reversals and tricks of the trade. Examples are used that require some inference. I am not sure if a beginning writer can catch all the subtleties and complexities. The book has a good share of writing nuggets, some so profoundly basic and true that we can tend to skip by them. On the first go-through anyway. This is a book worth reading more than twice and can kill your highlighter. I keep my copy with the other handy writing reference favorites (to be reviewed as well in upcoming posts). Wheat doesn’t overload us with inspirational and cutesy writing fluff, like so many of the other writing books out there. Some of the material, like the last section of general writing advice, is ordinary, but her advice on creating suspenseful scenes, employing outcome tricks, and identifying genres is about as rare and useful as you can ever find. But we have to think and apply. It’s not a hand-holding type of writing guide. 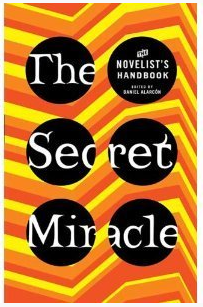 Posted in booknotes, Writers' Corner on July 25, 2012 by Wm P.
It’s a collection of insights and habits as described by a mixed group of successfully published fiction writers. It’s okay, but I’ll probably put it in the stacks for donation. It reads like everyone wrote their answers to the topic-driven Q&A at home and sent in their answers on a telecommute basis. There’s no evident interaction or the feeling of listening to a panel at a seminar. The moderator becomes an editor and is sometimes inconsistent, giving us not enough in-depth discussion on some topics and way too much chat on others. In some cases, when things are just warming up and getting interesting, he pulls the plug. Maybe the mailed-in supply of material ended too soon. That aside, there are lots of interesting tidbits for writers to consider and measure their process against. The topics are given in a TOC, which is pretty generalized. So in order to relocate something for reference, it’s probably necessary to have read all of Joshua Foer’s memory book (see May 12). Thats okay. The book is okay even if you open a page and go fishing. The title refers to a Borges story. It sounds like a Sunday-school play. I get the connotation of it being “inspirational,” or maybe that was an accident, and no one could come up with a better title. The cover’s Halloween colors dilute the air of holiness. I didn’t know who many of these authors are, and tended to skip and carefully read responses from the bigger names: Chabon, Egan, Goldman, those. I hope all the writers got paid well to talk shop and put their necks out there in print. Their secrets about the supposed miracle aren’t secrets anymore. Posted in booknotes, Writers' Corner on July 5, 2012 by Wm P.
The novel’s storyline of international intrigue doesn’t interest me nearly as much as the power of the writing itself. I am hooked immediately by the narrative voice a nd Didon’s skillful style. It looks easy but is not. The parade of paragraphs is far from conventional. It is successfully non-sentimental, as we are led to believe the author prefers things. But I don’t find it cold. It’s unique, maybe hip, and at times choppy and not always linear. Didion has the artfulness to pull it off and make the prose sound superb. If it sounds at times disjointed and loopy then it fits the world it describes. Some of us really like opening chapters that sound notes or chords of the music that will run through the rest of the novel ahead. I’m well set up and tuned in, after reading the concise compilation of mood and circumstance presented in C1. It’s a poem and a prelude and a functional opener in only 500 words or so. It’s something a writer can study and learn from. Didion is probably more well known for her non-fiction and essays. Of the ones I’ve read, “Miami” is my favorite, for all the light the author provides on the history of Cuba’s association with the city. The White Album is on my list to do. 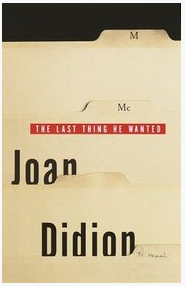 I’ve read one or two other Didion novels, and solely for its unique style and perfect language, “The Last Thing” is the best I’ve experienced so far. Posted in booknotes on July 3, 2012 by Wm P.